Your office building may be subject to the same potential plumbing problems that your home is. Yet due to the differences in structure size and type, as well as in building codes and zoning laws, the same plumber that fixes your leaky sink at home may not be qualified to do the same at your office. Have no fear: Star Cities Plumbing & Heating also offers commercial plumbing services. Your commercial plumber from Star Cities Plumbing & Heating is dedicated to offering you the same quick response, competitive pricing, and honest assessment you receive from us for your residential plumbing issues. Not just any plumber can transfer their services so seamlessly. And for those times when your commercial plumbing problem just can’t wait, we can make an emergency plumber available to you was well. As you can see, as a business owner, you have every incentive to have your office’s plumbing issue addressed by a Star Cities Plumbing & Heating commercial plumber right away. 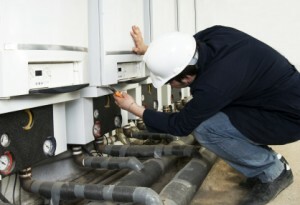 Don’t trust the care of your office’s plumbing system to just any New York City plumber. Allow Star Cities Plumbing & Heating to deliver the same exceptional service you receive in your home to your office as well. Whether you need routine maintenance from one of our commercial plumbers, plumbing installation, or the immediate assistance of an emergency plumber, we’re ready to help you. Call us any time at 800-547-1422 or contact us online.